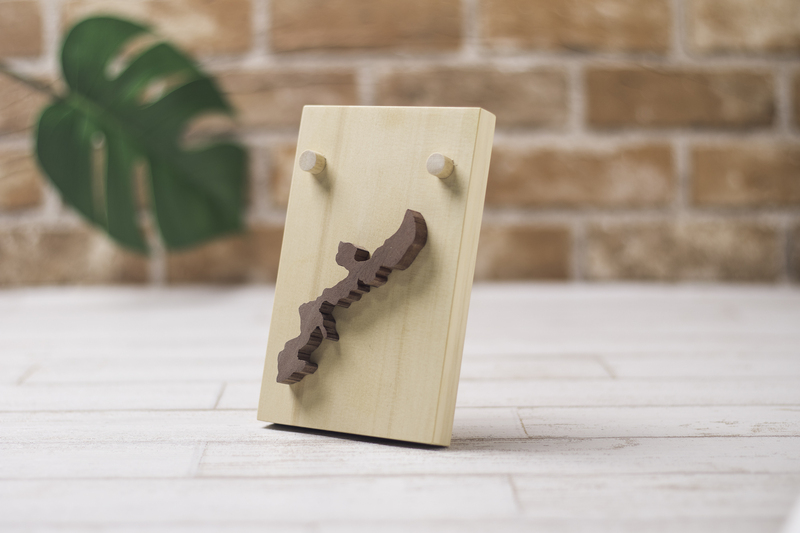 This stand features a wooden piece carved in the shape of the Okinawa Main Island attached to a wooden stand element. 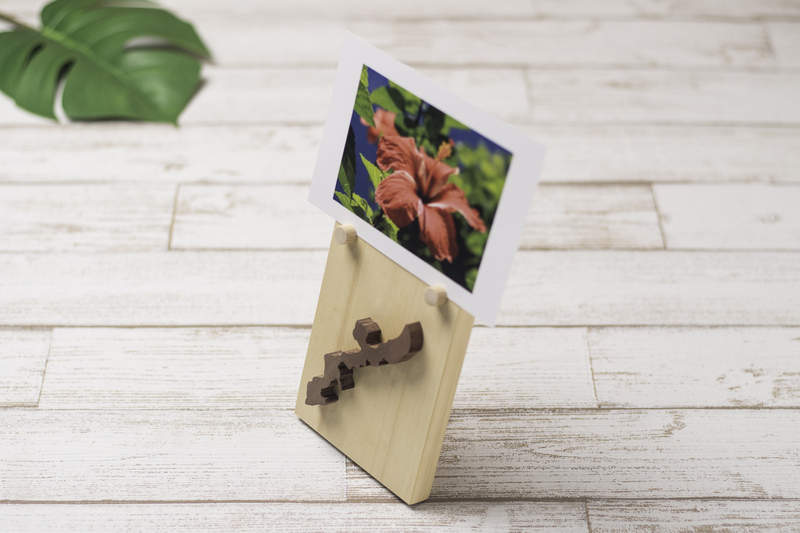 Narrow, rounded grooves have been cut into the rounded pins that allow you to position a postcard on the stand. 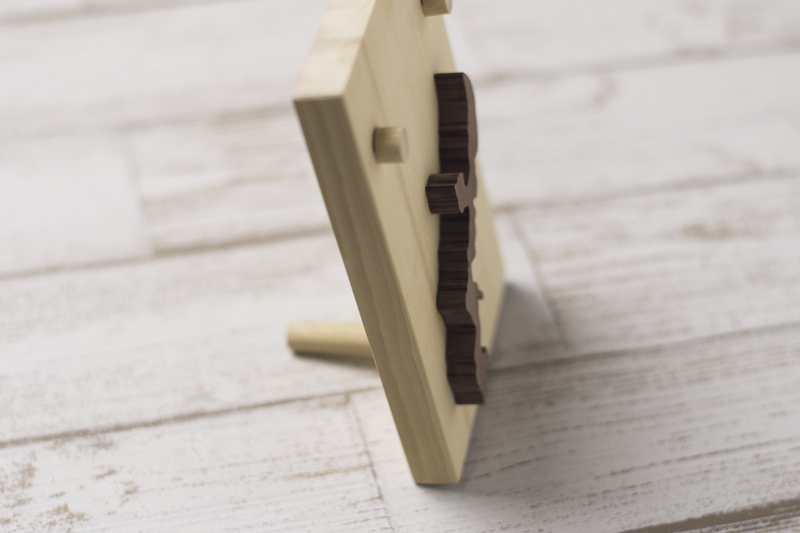 The stand is set up based on a rounded pin on the rear side. A wooden workshop with a reputation for a careful work that sticks to details. Works shining skilled skills making full use of over 20 years of career are full of charm.